Did you have a spooOoOoOOoky Halloween? Hope you spent some time with Bonbon. That is, if you could keep up with him and his new found C-list fame. 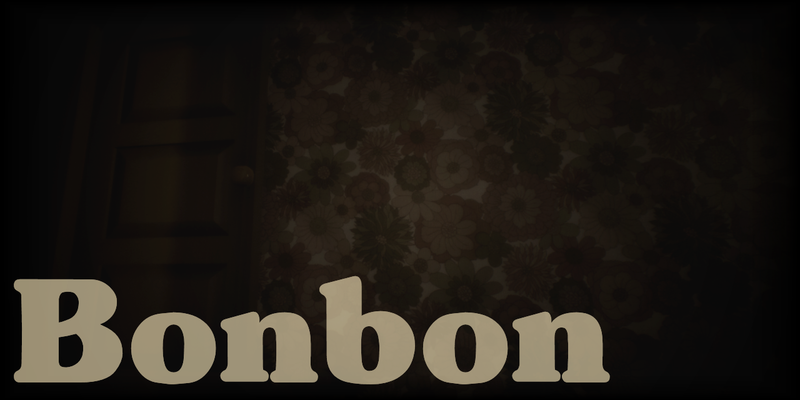 Around Halloween, Bonbon appeared in PC Gamer and The Telegraph. He still comes round for tea and cake though. Added a windowed mode, in the Options menu. Added a brightness setting, in the Options menu. Added an option to switch to a simpler fur shader. This should help with the frame rate drop some players experience when Bonbon appears. Made some adjustments to help with a rare bug that could cause some systems to stick on the initial loading screen. Fixed achievement exploit - you can no longer get "Little Chatterbox" by repeatedly talking to Bonbon. Simplified some toy collision meshes. This should give a performance boost on certain systems. Fixed a problem where the camera could clip through the floor when stumbling with certain held objects. Properly fixed a bug with cake sometimes not respawning if dropped on floor. Fixed an exploit that allowed you to not stumble if going forward and strafing at the same time. Created a Steam version, including Steamworks and achievements. You can now move around whilst carrying objects, within limits. You now have to hold 'R' or gamepad 'Y' to rotate held objects. Tutorials and menus updated to reflect control changes. You can now use a gamepad on the main menu by default. Fixed problem with the cigarette smouldering material on low-end systems. Fixed broken Bonbon "bristling" effect. Fixed a bug that made carried objects misbehave inside certain trigger areas. Fixed a bug that could make Bonbon not appear in the lounge if the toys were put away in a certain order. Fixed a bug with cake sometimes not respawning if dropped on floor. Fixed delay on the bedroom door. Subtitles are now on by default. Added throbber icon for loading screens and for the two blacked-out cutscenes. The orange ball can no longer get stuck behind Bonbon. Rubber rings are now less likely to bounce back out of the box. Robot toys now have stabler and quiet physics. They are less likely to get stuck and glitch out. Added a small note to the options screen to highlight that the "headbob scale" slider can help people who experience motion sickness.